Amanda Daddona and Matt Davis found the Thomas Jefferson letter. 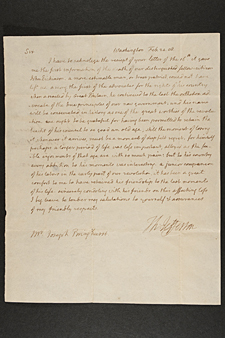 The Thomas Jefferson letter was sent to Dr. Joseph Bringhurst. 10:01 a.m., Dec. 3, 2009----Two University of Delaware graduate students working in archives recently acquired by the University of Delaware Library have discovered a letter written by Thomas Jefferson about the death of another prominent Colonial figure, John Dickinson. The letter was found in the archives of the Rockwood Museum, which the Library received as a gift from New Castle County earlier this year. Located in Wilmington, the Rockwood Museum is a Victorian house museum, with a conservatory and furnishings from the 19th and 20th centuries. 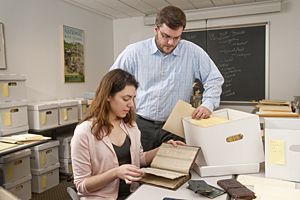 Graduate students Amanda Daddona and Matt Davis are processing the Rockwood archive, which is huge and diverse, with thousands of documents, maps, letters, photographs, albums, diaries, deeds, business records, ephemera and other items from the 17th century until the late 1970s. It may be assumed that many, if not most, of the older items in the collection have not been examined for several decades or longer. On Thursday, Nov.5, they found an original letter written by Thomas Jefferson among the many boxes of unsorted early material of the Bringhurst family, the original family that owned Rockwood. 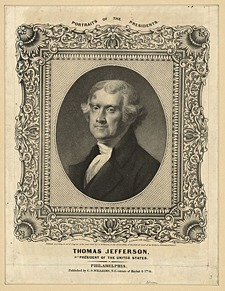 The Jefferson letter has substantive content with a distinct Delaware connection and was written during the time Jefferson was president. In addition to the Thomas Jefferson letter, Daddona and Davis found two John Dickinson letters, which are notable in their own right. 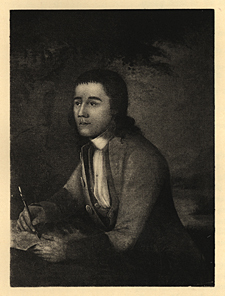 Dickinson was known as the “Penman of the Revolution” for his early “Letters from a Farmer in Pennsylvania to the Inhabitants of the British Colonies,” which argued the cause of American liberty and were read on both sides of the Atlantic. 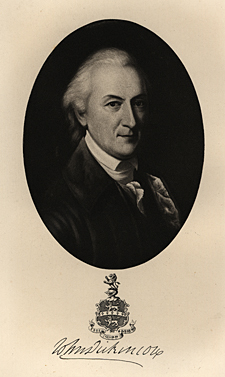 Dickinson served in the Continental congresses and in 1781 was elected president of Delaware, a position he resigned to be elected president of the Supreme Executive Council of Pennsylvania. Dickinson worked with James Madison on the Articles of Confederation and was a delegate to the Constitutional Convention of 1787. John Dickinson and his wife were intimate friends of Wilmingtonians Dr. Joseph Bringhurst and his wife Deborah (Ferris), who named their daughter Mary Dickinson Bringhurst when she was born in 1806. Joseph Bringhurst (1767-1834) practiced medicine and established a drug business on Market Street that was carried on as a family business for more than a century. He attended John Dickinson in his final illness, recording notes from those days that served future biographers. Bringhurst was the first to inform Jefferson of Dickinson's death. “This is such a wonderful experience for Amanda and Matt. The graduate assistantship program really opens campus learning as students are exposed to the importance of historical resources and how they are managed in a research library. At the same time, the Library benefits from the academic focus and research skills that each graduate student brings and the communication they foster with their departments to share information about sources in the Library,” said L. Rebecca Johnson Melvin, librarian in the Special Collections Department in the Library. I have to acknolege the reciept of your letter of the 16th. It gave me the first information of the death of our distinguished fellow-citizen, John Dickinson. A more estimable man, or truer patriot, could not have left us. Among the first of the advocates for the rights of his country when assailed by Great Britain, he continued to the last the orthodox advocate of the true principles of our new government: and his name will be consecrated in history as one of the great worthies of the revolution. We ought to be grateful for having been permitted to retain the benefit of his counsel to so good an old age; still, the moment of losing it, whenever it arrives, must be a moment of deep felt regret. For himself perhaps a longer period of life was less important, alloyed as the feeble enjoyments of that age are with so much pain: but to his country every addition to his moments was interesting. A junior companion of his labors in the early part of our revolution, it has been a great comfort to me to have retained his friendship to the last moments of his life. Sincerely condoling with his friends on this affecting loss, I beg leave to tender my salutations to yourself & assurances of my friendly respects. Editor's note: To zoom in and read the letter close up, visit the Special Collections Web page that also includes a brief biography of Joseph Bringhurst and an annotated bibliography.